1. Cut squash in half lengthwise. Scoop out the seeds then place the halves cut side down in a baking dish filled with enough water to cover the bottom of the dish. 2. 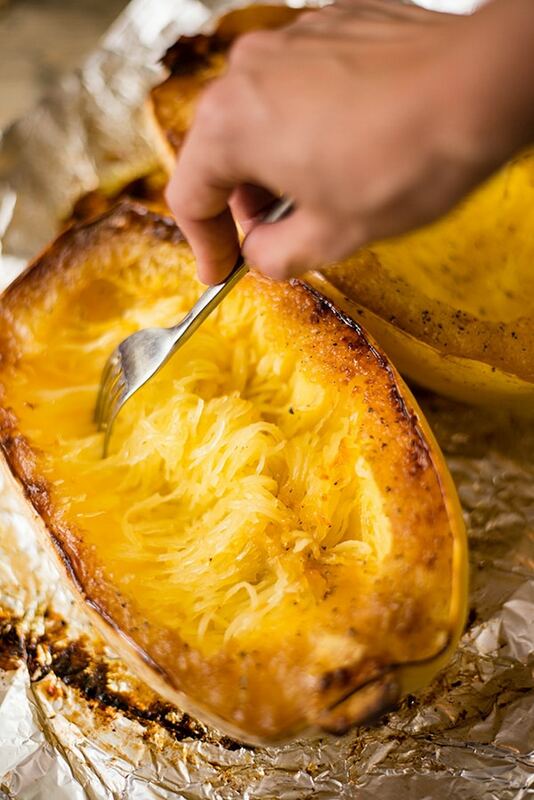 Bake at 350 degrees for an hour or until the shell of the squash is flexible and the inside is tender. Let the squash cool for 10-15 minutes. 3. Using a fork, scrape out the inside of the squash to form strands. 4. Place all of the squash strands into a large bowl and toss with butter, brown sugar, cinnamon. Serve hot. Snacks can boost your energy between meals and supply essential vitamins and minerals. Think of snacks as mini-meals that contribute nutrient-rich foods. The key to delicious snacking is to be creative with what you make so that you are always coming up with new combinations. These recipes are high in nutrients while also being more imaginative than your standard snack. Have a busy week ahead of you? Prepare and store your snacks on Sunday so that you have them ready to go during the week. 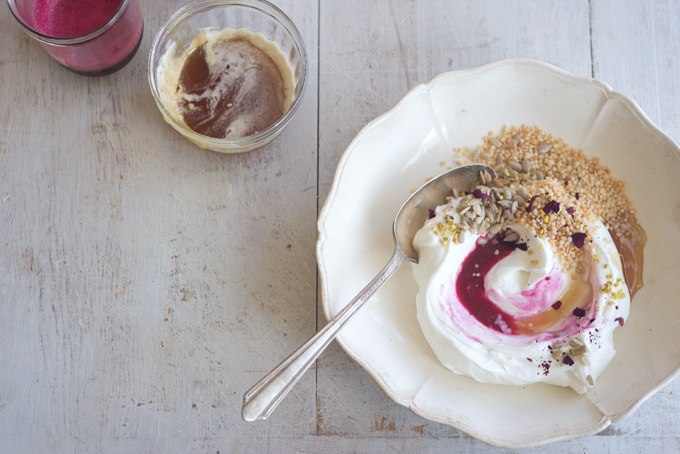 Start with 1 cup of Greek yogurt and add in your choice of nuts, seeds, fruit, and a drizzle of honey for sweetness. Benefits: Greek yogurt has double the protein of most regular yogurts. Greek yogurt contains probiotics that not only improve your digestive health and keep the bacteria in your gut healthy, they boost your immune system to keep you well. All nuts and seeds are rich in vitamin E, an antioxidant that helps keep your skin healthy. 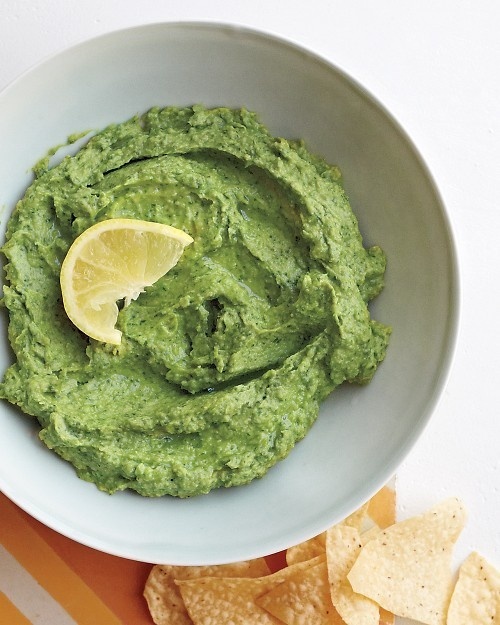 Hummus is a great way to sneak veggies into your meal if you don’t enjoy eating them whole. Enjoy this recipe, which incorporates kale, as a dip for raw veggies or crackers, as a spread in a sandwich or wrap or use a dollop on top of a fresh salad. Benefits: Kale is high in Vitamin K, which can help protect against various cancers. Per calorie, kale has more calcium than milk, which aids in preventing bone loss, preventing osteoporosis and maintaining a healthy metabolism. Chickpeas are high in protein and also known to be effective in preventing build up of cholesterol in the blood vessels. 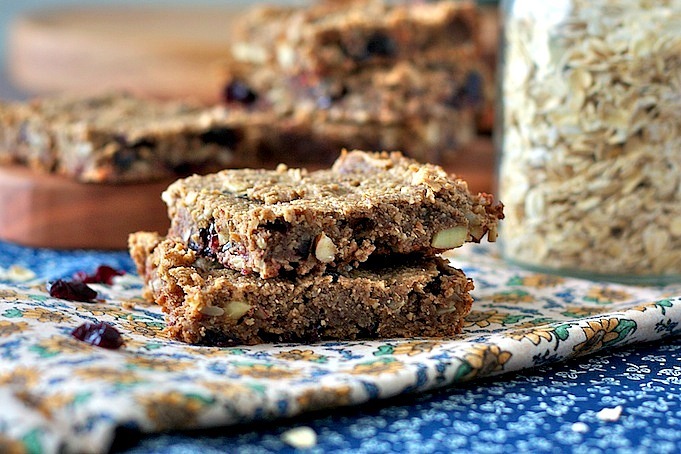 This recipe is perfect for breakfast on the go or a snack between meals. Benefits: Oats are a slow digesting carbohydrate that will keep you full for longer because of their high fiber content. Dried blueberries provide vitamins and antioxidants. Coconut oil provides some healthy fat: the medium chain fatty acids in coconut have been shown to improve cholesterol levels. Bananas supply potassium and B6. These bars earn even more points because they have no refined sugar, and can be made gluten free! Make this smoothie for a quick breakfast on the go, or post workout to get protein to your muscles for recovery. Find the recipe here. Benefits: Whey protein is a complete protein, meaning that it contains all the essential amino acids that the body cannot make on its own. 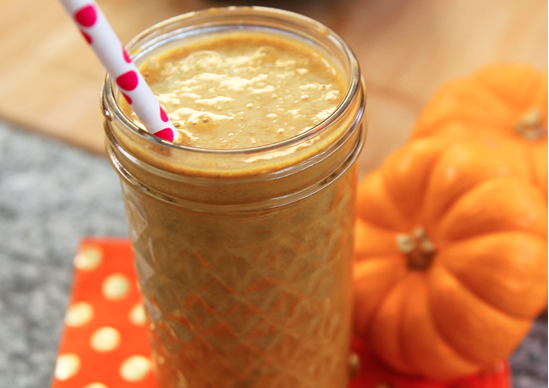 One half cup of pumpkin contains 400% of your daily needed vitamin A, as well as vitamin C and fiber. Cinnamon is one of the healthiest spices it is high in antioxidants, which play an important role in keeping the body healthy. What are some of your favorite snacks? Do you like to get creative while snacking? Leave a reply below!